As prom season quickly approaches, all those going are thinking about their hair, the right dress/suit, perfect makeup, and most of all, their prom skin! Whether it’s prom or any other event, the answer is water! Drinking more water comes with better skin, having more energy, boosting your immune system and so much more. It may be tough, but with the right tips and tricks, it’s easy! 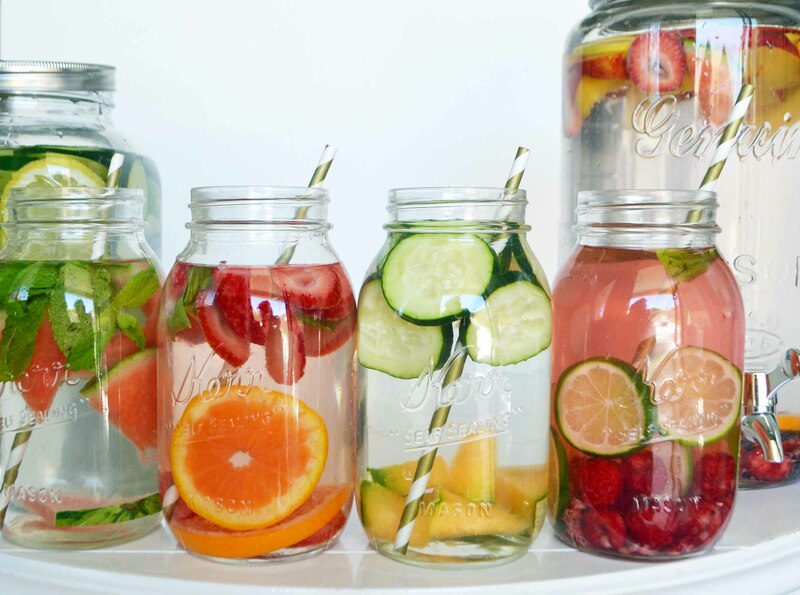 It is easy to stay hydrated when you keep water interesting by infusing it with fruits! Get a cute water bottle. To help you stay motivated to drink water, getting a water bottle that’s appealing to the eye helps immensely. You’ll always want to have it by your side, and it’ll be no hassle to carry. Water bottles range from as low as $4.00 on Amazon, but can be found at many other stores, such as Target, Rite Aid, and CVS. As long as you know you’ll drink from it then great! Always having a water bottle by your side will be your own personal reminder to take a few gulps. Drink water as soon as you wake up. After a long night’s sleep, drinking water will help you revitalize and enable you to get ready for your day ahead. Keep a bottle or glass of water on your bedside table or wherever is closest to you when you’re in bed, so when you wake up you’re sure to drink some. Everytime you use the bathroom, drink a glass of water. Not only does getting up to use the bathroom helps you get a little exercise walking back and forth, but it helps you replenish after every bathroom use. It helps you hydrate yourself and maintain internal body balance. Set Alarms. Chances are you’re reading this article on your phone right this moment, so set an alarm for yourself every hour so you remember to drink water! Not only does it keep you in check and reminds you, but it helps you have steady intervals. Keeping at pace with your hydration is essential. Remember drinking too much water is a thing! It’s called water intoxication, and it definitely does not keep you in balance. Don’t overhydrate! You don’t only have to get water by drinking water. Sounds confusing but, there are so many fruits and vegetables that obtain water. Watermelon, strawberries, cantaloupe, cucumbers, lettuce, tomatoes, as well as others are great substitutes for drinking glasses of water all the time! Create some flavored/detox water. Simply putting some fruits in your cute water bottle can go a long way. Aesthetically pleasing to the eyes, healthy to the mind and body. Put a slice of lemon in that water to allow a different flavor added in. Lemon is only one of many possibilities, there are combinations like Lemon and mint, Strawberry and Kiwi, Lime and Raspberry, etc. Think about your health, think about the cleansing of your body. Water helps it all. Hey! My name is Bhavna, and I write for the food section here at The Edison Light. Writing about food means somewhere you and your friends can go to enjoy each other’s company. Being a senior can get really hectic so having a chance to sit down and enjoy good food would definitely be a rewarding experience. One of my favorite sayings is, “You never know till you try!” considering this includes trying out new things. I love reading in my spare time and hope to have an entire room filled with books when I’m older. I also enjoy playing the piano and drawing. I’m also part of the medical assisting shop and look forward to becoming a dental hygienist or a neo-natal nurse one day!